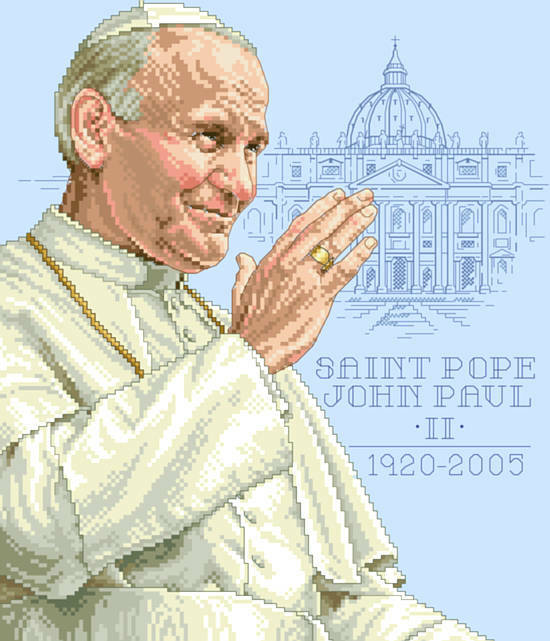 His Holiness John Paul II - Karol Jozef Wojtyla - May 8, 1920 to April 3, 2005. A special tribute to this Roman Catholic Pontiff, a beloved and revered gentle man. We honor him and his service to his fellowman. His legacy lives on.His Holiness John Paul II - Karol Jozef Wojtyla - May 8, 1920 to April 3, 2005. Contents: Stitch Count 137w X 160h, Finished Size on 14-ct 9-3/4" X 11-1/2"